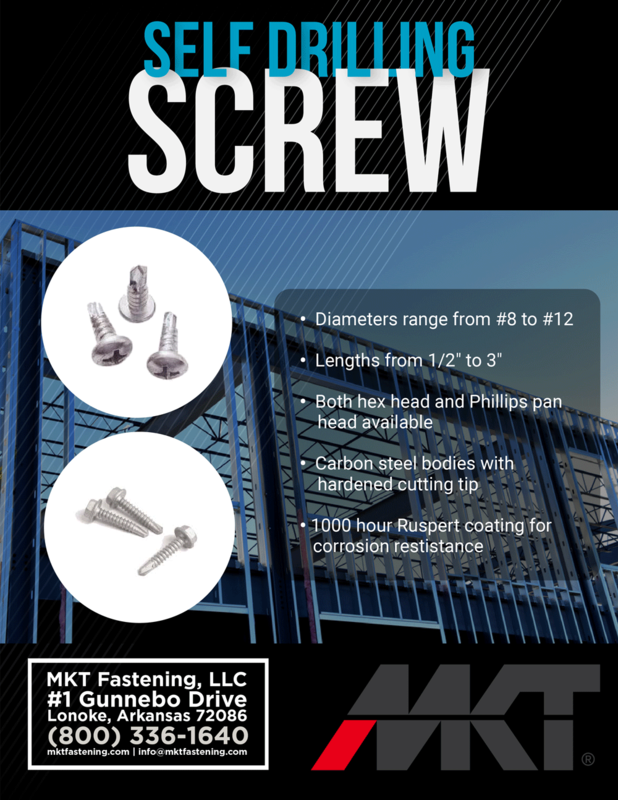 MKT’s Self Drilling Screws are available in bulk packaging. Each screw comes with a carbon steel body and a hardened tip for cutting. Screws are coated with a 1000 hour salt spray tested Ruspert coating to protect against corrosion.